Founded in 2004, A5 has evolved into a full-service solutions provider and a leader in digital transformation. We guide companies in their journey to find increased efficiency, productivity and revenue with our A5 process. This approach identifies a brand’s sticking points, diagnoses the problem, creates and implements solutions and then continually reports on the progress of those solutions in order to set the company up for future success. We strongly believe in a culture of innovation, empowerment and caring about our customers, communities & employees. Our solutions providers offer extensive knowledge and perspective gained through decades of experience working across multiple industries. We understand the symbiotic relationship from lead-to-cash and the daily challenges faced by Sales, Operations & Finance and we want to help your business overcome them. As a CEO of A5 Vinay plays an active role in establishing strategy, vision, values and culture for the company, key partnerships & alliances and M&A. Since founding the company, Vinay has successfully grown the business into a leading Global SI focused on CPQ, SPM, ERP, MDM, CRM, and Digital transformations. Under his leadership and vision, A5 is currently a top rated Oracle partner on Oracle’s cloud marketplace and a five star rated Salesforce Gold Partner. Prior to Founding A5, Vinay held leadership roles at leading enterprise consulting companies and as Independent Consultant and provided Business and IT consulting services for various Fortune 500 companies. Vinay is also the Chairman of the Board at A5 and sits on board at multiple other technology and investment firms. 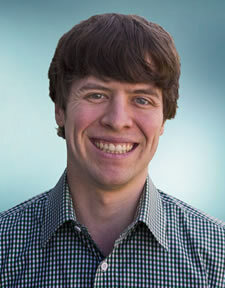 As the Vice President of Finance and Operations, PJ is responsible for all things financial at Config Consultants. With over 20 years of experience in financial leadership positions, PJ has worn all the hats required of a growing tech business. His extensive knowledge of the consulting industry, experience with M&A, and strength in operational finance is another catalyst to take A5 to the next level in its growth trajectory. 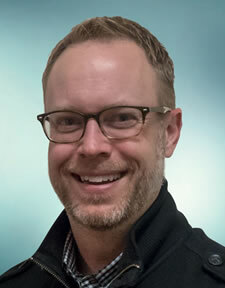 PJ is a CPA with a BS in Accounting from the University of Illinois, Urbana-Champaign, and has held various finance leadership positions at Exodus/Savvis (acquired by Centurylink), Neohapsis (acquired by Cisco), and mFoundry (acquired by FIS). As the Vice President and General Manager for Salesforce, Suman is responsible for sales and delivery of all Salesforce initiatives at A5. With over 22 years of experience, he is a hands-on leader with a proven track record for building high-performance global teams, strategically aligning technology solutions to customer objectives delivering measurable success. Prior to joining A5, Suman held various leadership positions at Salesforce, Deloitte, Slalom, and Simplus and has led multiple global Salesforce implementations. He has a bachelors degree in engineering from Osmania University and holds multiple certifications. As Vice President of Oracle Practice, Dave guides and influences all Oracle related activities at A5, starting in the presales process through the successful launch and maintenance of each CPQ implementation. Dave has spent most of his career in the Oracle CPQ field, starting at Accenture and then working with the BigMachines consulting team through their acquisition by Oracle. Prior to A5, Dave was a Product Manager for Oracle, working on the CPQ Cloud platform. He has a Bachelor’s Degree in Computer Science from the University of Notre Dame. 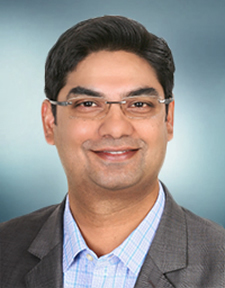 Tarun Sharma is Vice President Customer Success at A5 and is responsible for customer success, project operations, recruitment, resource utilization and sales operations functions for Oracle practice. As a business and technology leader Tarun helps businesses develop solution strategies to streamline sales process and improve customer relations to drive revenues, profits and build brand loyalty. Tarun has led customers through digital transformation journeys. He has commanded strategic and tactical initiatives to shorten sales cycles, increase deal values and productivity, improve brand awareness and help organizations become easier to do business with. He has helped customers modernize their sales enablement tools and present a single source of information to support an omni-channel sales approach. This includes global roll-out for multiple business units included multi-currency and multi-language. Tarun graduated from Texas A&M University with a master’s degree in Industrial Engineering. 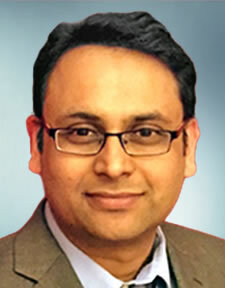 Krishnanand is the Vice President of Offshore Delivery and Centre Of Excellence (CoE) at A5. He started the A5 offshore delivery Centre at Bangalore, India and served as the head of the operations with oversight for HR, Training, General Management and Project Delivery. Prior to him being promoted to the current role, KJ has successfully led and implemented solutions for over 30 customers across the Globe. 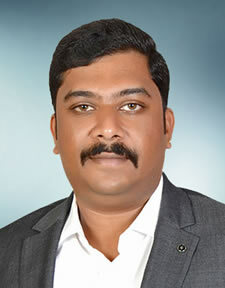 Krishnanand graduated from Siddaganga Institute Of Technology, Karnataka with a Bachelor’s degree in Computer Science Engineering. As the President & CEO of A5, Vinay plays an active role in all aspects of the day-to-day business operations. He is also actively involved in establishing strategy and vision for the company, is a customer advocate with Oracle Product Development, and is also actively involved in various Oracle Applications User Group / Special Interest Groups Board of Directors. Since founding the company, Vinay has successfully grown the business into a leading Oracle Platinum Partner focused on Cloud and On-Premise ERP, MDM, CPQ, CRM and Service solutions with over 100 successful implementations. Prior to founding A5, Vinay was a very hands-on implementer who architected and led consulting services to over 50 complex transformation projects for various Fortune 500 companies. 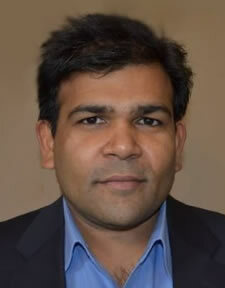 Vinay is a leading authority on industry / process / technology in Configure-Price-Quote and ERP applications. Vinay graduated from Osmania University with a Bachelor of Engineering degree and from JNTU with a Master in Technology degree. 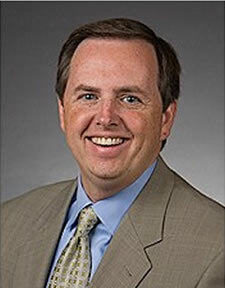 Based in Kansas City, Mr. Healy is a co-founder of C3 Capital. He has been an active private equity investor since 1985 and was a co-founder of C3 Holdings in 1994. Prior to this time, he sponsored and structured equity investments in real estate. He gained extensive workout and restructuring experience as chair of the creditors committee of a $1 billion bankruptcy and from being called upon to rescue a publicly traded company from a major fraud. 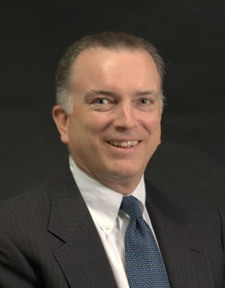 Mr. Healy was a senior tax partner at Mayer Hoffman McCann, a regional CPA firm, for eleven years. He received a Bachelor of Science in Accounting from the University of Kansas. Les Alexander is a partner with Jefferson Capital Partners where he provides mezzanine and equity capital for growth and buyout transactions. Mr. Alexander is a member of the firm’s investment committee and serves on the board of directors of several portfolio companies where he is actively involved in strategic planning and corporate governance. Prior to joining Jefferson Capital he worked at Advantage Capital Partners where he completed several portfolio company investments and served on the investment committee. Before becoming a private equity investor, Mr. Alexander served as president of Ferrara Fire Apparatus, Inc., a leading fire truck and emergency vehicle manufacturer. At Ferrara, he was responsible for managing a workforce of 450 employees producing over 300 vehicles annually for its domestic and international customers.As an investment banker for 15 years with such firms as Howard Weil, Southcoast Capital, and J.C. Bradford & Co., Mr. Alexander completed over 50 public offerings of debt and equity securities, private placements, and merger and acquisition transactions totaling more than $7 billion for public and private companies in a variety of industries. Mr. Alexander is an adjunct professor at Tulane University and Loyola University where he teaches graduate and undergraduate classes in investment banking, private equity & venture capital, advanced financial management, investments, and entrepreneurship. He is also the board president for Benjamin Franklin High School, a public charter school in New Orleans. Mr. Alexander is the former Chairman of Finance of the Association for Corporate Growth (ACG) and served on the global Board of Directors. He is a founder of the Louisiana chapter of ACG and was a recipient of the ACG global Meritorious Service Award and the Louisiana chapter’s Outstanding Service Award.Mr. Alexander received his bachelor of science in Commerce from the University of Virginia in 1989 and his MBA from the University of North Carolina in 1993. Chad has over ten years experience investing in dynamic, growing businesses in diverse industries and geographies. His private equity experience includes HIG Capital, which has over $12B in capital under management, and AEA Investors, which manages over $3B of invested and committed capital. While at HIG and AEA, Chad led diligence, structuring, and financial analysis of potential and existing investments, and completed transactions in the industrial products and consumer services industries. Chad also has experience investing in the public equity markets, most notably as a Managing Director at Fox Point Capital, a $1B fund seeded by Julian Robertson of Tiger Management. He invested across a number of industries, including industrials, financials, technology, and consumer products, and led Fox Point’s international research. 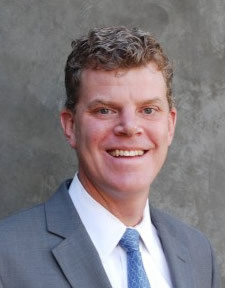 Prior to focusing his career on investing, Chad was a management consultant at McKinsey and Company, solving strategic problems for the world’s leading companies.Chad earned an MBA with Honors in Finance from the Wharton School at the University of Pennsylvania and a BS with Distinction in Chemical Engineering from the University of Wisconsin-Madison. A5 is proud to be partnered with the industry’s top software as a service, platform as a service, infrastructure as a service and data as a service providers. Together, we create solutions for businesses that impact their bottom line and improve their capabilities.